Pregnancy is nine transformative months full of excitement, planning, and peering at the awesome unfolding of life. But this transformation also brings inevitable side effects. But you don’t have to suffer in silence. The gentle, noninvasive approach of pregnancy massage can ease your discomfort, help you prepare for labor, give you the emotional support of a caring practitioner, and bring back a sense of body-mind integration, putting you into a state of relaxation and calm acceptance of your continually evolving physical form. According to Lynne Daize, with the National Association of Pregnancy Massage Therapy, training for this specialty includes learning specific techniques for each trimester, as well as those required for labor and postpartum massage. 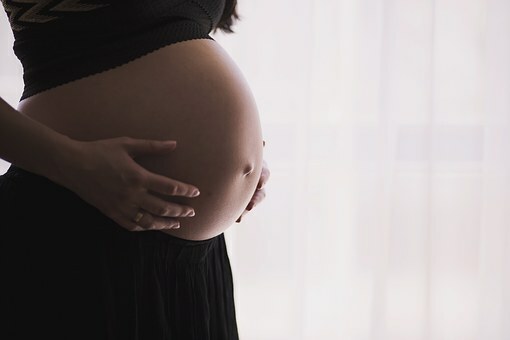 A certified pregnancy massage therapist is well-acquainted with the physical and hormonal effects of pregnancy and has the skills to counterbalance these changes. You’ll find the therapist uses a lighter touch and concentrates on those areas most vulnerable to changes in your body. She might also give you deep breathing exercises and tips on how to improve your posture to adjust to the added weight and shifting center of gravity. As pregnancy progresses, your body adjusts to a changing postural alignment caused by the baby’s increasing weight. This puts strain on your back and legs and increases stress on weight-bearing joints. Massage increases flexibility, enhancing the ability to carry this extra weight while also relieving aches and pains, leg cramps, and muscle spasms. The effects of relaxation and tension release add to improvement in the physical state of muscles and joints, and assist in balancing emotions. Studies from the Touch Research Institute (TRI) in Miami, Florida, indicate that pregnancy massage provides more than just symptom relief for the mother. A group of 26 pregnant women were given either massage or relaxation therapy during a five-week study. In addition to experiencing a reduction in symptoms of anxiety, stress, sleep problems, and back pain, the massage group had fewer complications in their delivery. Their newborns also had fewer postnatal complications. Another TRI study reported massage during labor resulted in shorter labor times for the mothers, shorter hospital stays, and less postpartum depression. What to Expect When ExpectingDuring the first trimester of pregnancy, a primary goal of massage is to provide relaxation and increase flow of the circulation systems. Stimulating the blood system pumps more energy-giving oxygen and nutrients into your cells and increases blood flow to the placenta. Muscle tension can slow down lymph flow, leaving you fatigued. By stimulating this system, massage can boost your immunity and energy level. In the second trimester, increasing weight of the baby can cause muscle soreness. “The mother starts going through more changes,” Daize says, “so massage is used to relieve muscle spasms and ease structural changes.” The therapist works to loosen joints, keeping them aligned, and soften the connective tissues, thereby relieving backaches and leg cramps. As pregnancy progresses and the abdomen enlarges, special positioning is required during massage. Up to the 24th week of pregnancy it is acceptable, according to Daize, for moms to be on their back with the right hip tilted up, taking pressure off the nerves and arteries. Pressure on the arteries in the back, she notes, will diminish blood flow and oxygen to the fetus. Another position that decreases stress on the back is side-lying, with the belly supported by a small wedge pillow. During the final trimester’s “home stretch,” the baby begins to gain weight more rapidly, pressing against inner organs and shifting them about. Discomfort increases and the impending due date can cause added stress and anxiety. At this stage, Daize says, the therapist focuses on trigger points to relieve pain while continuing to elicit relaxation throughout the body. Generally, during the last two weeks before the mother’s due date, the therapist concentrates her techniques on preparing the woman’s body for delivery. Before initiating massage, consult your obstetrician, especially if you are at high risk. While massage is a safe treatment, there are certain conditions that require your physician’s approval and careful monitoring by the therapist. Notify your therapist immediately of any changes in your physical health, and consult your obstetrician about continuing the treatments should complications arise. Some physicians may be unaware of the benefits of pregnancy massage and hesitant to recommend it. In these cases, the therapist can help by providing information that explains her specialized training and experience.